March 2018: Finance ministers and central bank governors pose for a picture during the G20 finance summit in Buenos Aires. Some of the greatest minds in central banking called it quits or reached the end of their terms in the past year. This included three who earned A grades from Global Finance in last year’s report cards: Janet Yellen of the US Federal Reserve, Manuel de Jesús Bautista of Honduras and Fai-Nan Perng, who led the Central Bank of the Republic of China (Taiwan) for 20 years. In addition, Karnit Flug, the first woman to head the Bank of Israel and a repeat winner of an A grade, announced she would not seek a second term when her current five-year term ends on November 12. The changing of the guard comes at a time of great uncertainty for central banks, which are shifting away from quantitative easing (QE) toward quantitative tightening. The combined net asset purchases of the four central banks that engaged in QE will turn negative in 2019, one year earlier than previously expected, according to Fitch Ratings. The Federal Reserve, the European Central Bank, the Bank of Japan and the Bank of England made net asset purchases of about $1.2 trillion a year from 2009 to 2017. Fitch says this is about to slow to $500 billion this year, as the Fed’s balance sheet shrinks, the Bank of Japan engages in de facto tapering and ECB purchases are phased out by the end of the year. “More significantly, combined net asset purchases are expected to turn negative next year, as the decline in the Fed’s balance sheet will be larger in absolute terms than ongoing net purchases by the Bank of Japan,” which is engaging in stealth tapering, Fitch says in a research report. This could portend an increase in market volatility, which has already appeared this year as central bank net purchases have slowed, the rating agency says. The decline in net purchases is expected to be about $200 billion in both 2019 and 2020. “The impact of such a large turnaround in central bank purchases on global financial markets is likely to be significant, despite it being widely anticipated and despite the smooth progress seen with the Fed’s balance sheet reduction since last October,” the Fitch report says. Central bank purchases have been a factor dampening financial-market volatility by providing a large and steady “bid” for fixed-income assets, the report says. Private-sector investors will be called upon to absorb a much greater net supply of government debt in coming years, as central banks reduce their holdings and government financing needs persist in Europe and Japan and rise sharply in the US. Meanwhile, central banks have faced harsh criticism in the wake of the global financial crisis and, more recently, attacks on their independence from a rising tide of populism. Some Asian central banks, including those in Bangladesh and New Zealand, are now working in partnership with their finance ministries instead of making their own independent decisions. The European Central Bank has gone on the defensive. It recently published research saying that its QE policies helped vulnerable European citizens more than the rich during the financial crisis, despite claims by critics that QE widened inequality, and helped the rich get richer through their holdings of stocks and bonds. The report, written by five ECB economists in Frankfurt and Giovanni L. Violante of Princeton University, held that the impact of QE on asset prices was less important than its effect on the income of regular households through the lowering of the unemployment rate. Meanwhile, as a result of the Great Recession, there has been a notable shift on the part of many central banks from single-minded inflation fighting to a more balanced mandate of also promoting economic growth and employment, as well as ensuring financial stability. Many emerging-market central banks have been forced to raise interest rates this year to prop up their currencies in the face of a stronger dollar. Others have intervened heavily in the foreign exchange market, drawing down currency reserves. As of July, Brazil had spent about $44 billion on market intervention. Every country has its own special problems and circumstances, which call for different policy responses. 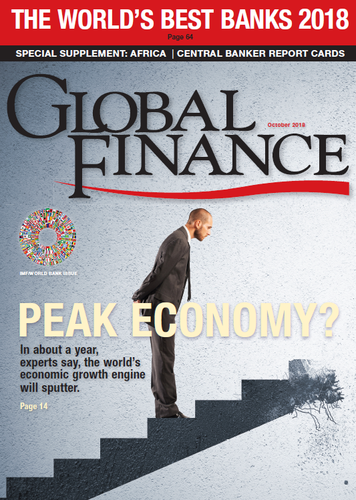 Global Finance has been grading central bankers for 24 years on how well they do their jobs. Our ratings are based on inflation control, economic growth, currency stability and interest-rate management, among other criteria. The determination of central bankers to protect their independence in the face of political pressure and their skills in supervising financial institutions are also taken into account. In this year’s report cards, we rate the performance of 89 central bank governors. While it is too early to grade the 14 rookie central bankers who were installed only recently, Global Finance assessed the remaining governors on a scale ranging from A (for head of the class) to F (for outright failure). We have added the Bank of Central African States and the Central Bank of West African States this year, as well as the Eastern Caribbean Central Bank. For the first time, we are grading the central bank governors of the Bahamas, and Trinidad and Tobago. The Bank of Canada raised its overnight interest rate in July—for the second time this year, and the fourth time since mid-2017—indicating that it likely will continue to follow US rate increases. The central bank boosted the benchmark rate a quarter point, to 1.5%, despite rising trade tensions with the US. It said the labor market remained strong and that further gradual increases in interest rates will be warranted. 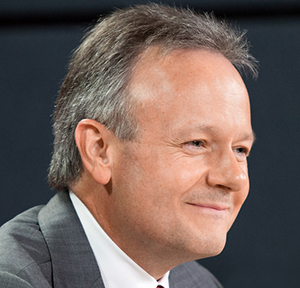 Governor Poloz took note of the trade issue but said, “The bank cannot make policy on the basis of hypothetical scenarios.” The Bank of Canada raised the potential growth rate (the rate at which the economy can grow without triggering inflation) to 1.8% for 2018, and 1.9% for the following two years. Powell took office as the 16th chair of the Federal Reserve on February 5, replacing Janet Yellen, the first woman to hold the post and a Grade A central banker, whom President Donald Trump had praised, but who was unacceptable to many Republicans. Powell, who goes by the nickname Jay, has served on the Fed’s board of governors since May 2012 and is expected to continue the Fed’s policy under Yellen of gradually raising interest rates, so long as the economy continues to expand at a reasonable rate. Previously, Powell was a visiting scholar at the Bipartisan Policy Center, and before that he was a partner at The Carlyle Group. Powell, a Republican, also served as an assistant secretary and undersecretary of the Treasury under President George H.W. Bush. One of his biggest challenges will be unwinding the Fed’s massive bond portfolio without riling financial markets. 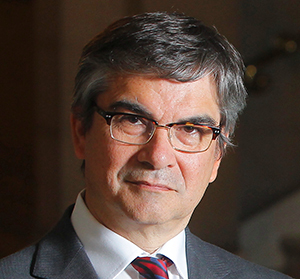 Having previously served as minister of finance, Luis Caputo took over the helm of Argentina’s central bank in mid-June 2018 amid a peso crisis. His predecessor, Federico Sturzenegger, had lost credibility by cutting interest rates despite inflation well above the target level and dipping into reserves to support the currency. Caputo, a former portfolio manager and banker, is expected to win back investors’ confidence. He hiked interest rates to 60% to shore up the peso—and the central bank’s credibility and independence—yet lack of confidence from international markets continues to hammer the currency. After two years of recession, GDP rose around 1.5% in 2017 in the Bahamas, one of the richest countries in the English-speaking Caribbean. Tourism accounts for around 75% of GDP, and employs more than 50% of the archipelago’s labor force; but it has been lackluster for a decade. International banking is the second-most important sector of the country’s economy. Low productivity and a high level of bureaucracy are often blamed for the lack of economic dynamism. Official remarks a few years ago that The Bahamas’ fiscal position was weaker than expected, and that the government’s debt ratios would keep deteriorating, prompted rating agencies Moody’s and S&P in 2016 to downgrade The Bahamas’ rating to Baa3/BB+, with Fitch also considering a possible cut. The Bahamas have recently joined a small group of countries that are planning to experiment with central bank digital currencies. The Bolivian economy is expected to keep a rate of economic growth of around 4% this year and next, below the 5% threshold set by the government in its 2016-2020 economic plan and far from the expansion that would be needed to catch up with other countries in the region. In early 2018, the country is seeing a jump in exports along with an increase in remittances, but high public and current account deficits still present some risks. The country is rich in natural resources. A deal with Russian gas producer Gazprom will bring in $1.2 billion for exploration and production, helping the country export to Argentina and Brazil and compensating for otherwise scarce foreign direct investment. Inflation is under control. Following a severe recession in 2014-2016, Brazil’s GDP rebounded last year. It rose by 1% in 2017 and is expected to increase by 2.3% this year and 2.5% in 2019. The mild recovery has been spurred by accommodative monetary and fiscal policies that boosted domestic consumption and investment. A central bank that has improved its reputation has been instrumental to this recovery, although long-term issues are casting a shadow on the country’s ability to resume higher rates of expansion. An accommodative monetary policy and a pickup in copper prices in 2017 provided the Chilean economy a boost to restart substantial growth. Supported by a solid demand for copper at the international level, GDP could expand at a rate of 3.6% in 2018 and around 3.3% in 2019. Recent reforms in the education system and the job market—along with streamlined regulations and a plan to improve infrastructure—should boost the country’s competitiveness. Colombia has been on a rocky path in the last few years, suffering from the downturn of international commodity prices. GDP is expected to accelerate, with an estimated growth of 2.7% in 2018 and 3.3% in 2019, driven by private spending. Inflation that overshot in the last few months is expected to converge to the 3% target, allowing the Central Bank to reduce its rate to 4% in the second quarter of this year. The exchange rate will depreciate in the second half of 2018. In July the Central Bank of Costa Rica (BCCR) cut its economic growth forecast to 3.2%, attributing the deterioration to an unmanaged fiscal deficit. The public deficit is seen by the BCCR as rising to 7.2% of GDP this year, up from 6.2% in 2017. Several prior administrations tried to pass tax reform; it is now the turn of Carlos Alvarado, elected early this year. The Dominican economy grew 4.6% in 2017 and is expected to accelerate to 5.5% in 2018, helped by favorable external conditions. A monetary easing in mid-2017 helped the economy return to its potential growth of around 5%, where it is expected to remain over the medium term. Inflation recovered to the central bank’s target range. Unemployment fell to 5.1%—near historical lows. “The central bank’s inflation-targeting framework is delivering good results,” says the IMF in its February 2018 report: “The neutral monetary policy stance is appropriate. With the economy growing close to its potential and inflation within the target band, near-term risks to the inflation outlook are broadly balanced.” The country report adds that “a tighter monetary stance may be required” if inflationary pressures pick up. The Eastern Caribbean Central Bank serves the Organization of Eastern Caribbean States, including the islands of Antigua and Barbuda, Dominica, Grenada, St. Lucia, St. Vincent and the Grenadines, St. Kitts and Nevis, Montserrat and Anguilla. The British Virgin Islands and Martinique, although associate members of the organization, are not served by the bank. The area has been pegged to the US dollar for more than 40 years and enjoys stable inflation with a good flow of FDI. Economic growth is below the 5% target and expected to remain weak. After more than two years of economic contraction, Ecuador resumed GDP growth in late 2016, rebounding strongly to 3% in 2017. But with a decline of 0.7% at the start of 2018, it seems that the economy is cooling off again. Dollarization of the economy was approved in 2000 after a banking crisis was stabilized, but the level of foreign investment remains one of the lowest in the region. Weak rule of law and an unstable regulatory environment weigh on the investment climate. According to the IMF, the financial system is well capitalized, with solid credit quality and high levels of liquidity, but banks’ risk management still remains weak. El Salvador is benefiting from higher overseas remittances, mainly from the US. El Salvador’s GDP is seen rising above 2% in 2018, similar to 2017. The country, however, still lags behind its peers in the region. With a dollarized economy since 2001, El Salvador also has very low inflation—contained at around 1%. According to the IMF, El Salvador’s banking sector is solid and credit growth is moderate at around 6%. A more-restrictive monetary policy by the US Federal Reserve and more-restrictive immigration policies in the US represent the highest economic risk for the country. In the aftermath of its 36-year civil war, Guatemala implemented a series of economic reforms and had in recent years become one of the strongest economic performers in Latin America; its GDP growth rate surpassed 3% in 2012 and 4% in 2015. However, economic growth slowed to a new low in the first quarter of 2018 as private consumption lost steam and public expenditure growth nearly halved. The biggest economy in Central America, Guatemala has one of the highest rates of income inequality in the region and some of the direst poverty and maternal-child mortality rates. Jamaica has been for years one of the slowest growing countries in the region, with real per capita GDP expanding at an average of just 1% per year. A long process of institutional reforms and efforts to improve investment incentives has started to bear some fruit. A package of aid from the World Bank, IMF and the Inter-American Development Bank has provided millions of dollars in development and investment financing. Jamaica’s GDP grew by just 0.5% in 2017, due to floods and other severe weather. GDP growth should rebound to about 1.7% in 2018, says the World Bank. Less than a year ago, with a change in government and pending renegotiation of NAFTA adding uncertainty to the economic outlook, Alejandro Díaz de León took the helm of the Mexican central bank. He is dealing with rising inflation and an economy less buoyant than expected. A vocal defender of the central bank’s independence, Díaz de León is widely expected to continue the policies of his predecessor and former mentor, Agustín Carstens, who made the Mexican central bank one of the most orthodox of Latin America. In 2017, Nicaragua’s economic performance was above expectations, with real GDP expanding about 4.9%. The 2018 outlook was favorable, with GDP expected to expand above 4.7% this year. But political protests are spoiling the positive economic outlook. About 300 people, mostly civilians, have been killed since protests started in April. Tourism, FDI and domestic activity have been suffering from the unrest. According to the central bank, economic activity in May alone contracted by nearly 5%. A relatively solid financial system was praised by international organizations. In a recent report, the IMF praised measures to enhance the resilience of the banking sector and reiterated the importance of expanding the supervisory perimeter to savings and loans cooperatives. Paraguay’s heavy reliance on natural resources dampened the 5% growth rates it enjoyed for most of the past decade, but the country has been able to maintain some economic expansion—above 4% so far in 2018. An inflation-targeting system adopted in 2011 has helped keep prices stable, while the 2013 Fiscal Responsibility Law contributed to the consolidation of public debt, which now stands at around 22% of GDP. A sale in 2018 of a 30-year sovereign bond was priced at 5.6%, evidence of the success of the fiscal policy. International agencies have boosted the country’s ratings. Among the main challenges that remain to be addressed are low taxation levels, poor-quality infrastructure and public services, according to the international institutions. From 2009 to 2013, the Peruvian economy grew by an average of 5.6% with a stable exchange rate and low inflation. As prices of silver and copper declined in 2014, 2015 and 2016, growth rates slipped too. Now a new recovery boost is expected for 2018 and 2019. Peru’s economic performance has also been depressed by delays in infrastructure megaprojects following a corruption scandal associated with Brazilian firm Odebrecht. The inflation rate, although one of the lowest in the region, shot above the 2% target set by the central bank. The government’s reform package should help revitalize the economy in the long term, but a spending spree brought the public deficit to a record high in 2018. A process of consolidation is expected in the coming months, but political volatility represents a major risk. Trade balances and financial inflows have supported the currency in the last few months. Inflation is expected to stay in range this year and next, so the central bank could cut interest rates further before the end of the year. The country has been in a recession since the sharp fall in international oil prices in 2014. The twin-island state has seen GDP decline 6% in 2016 and another fall of almost 3% in 2017. With the oil and gas industry making up more than 40% of the global economy, Trinidad and Tobago faces a challenge of gas shortages and has most recently embarked in large-scale energy projects. Economic diversification has for been a political talking point for a long time, but little has been done. With its democratic government; educated, English-speaking workforce; and well-regulated, stable financial system, the Caribbean country could offer a good platform for international investments. Economic hurdles include low labor productivity, high levels of red tape and corruption. Uruguay is a country with high incomes, low poverty and more-equal distribution than the rest of the region. In the past 10 years, Uruguay grew more than the Latin American average. More recently, that dynamism appears to have stalled: FDI sharply declined in 2016 and 2017, as a serious drought impacted agricultural output. Fiscal consolidation is taking place, but at a slower pace than expected. The worst should be over now, and GDP is expected to expand by around 3% in 2018 and 3.5% in 2019. Public debt is well managed. A $1.75 billion bond issue maturing in 2055 was well bought. with average yield at 5.1%. The central bank has actively bought reserves to relieve pressure from the currency and helped contain inflation at around 6.8%. Unemployment peaked at 7.9% in 2017 but has been falling. It may not be enough to restore confidence in the central bank, however. “The situation in Venezuela is similar to that in Germany in 1923 or Zimbabwe in the late 2000’s,” says Alejandro Werner, director of the IMF Western Hemisphere department. The central bank had earlier suspended the publication of major economic data, under Sanguino’s predecessor, mathematician Nelson Merentes. The International Monetary Fund has lauded Belarus’ response to the recent recession, particularly the move to a flexible exchange-rate mechanism and the tightening of fiscal and monetary policies, which have resulted in a stable exchange rate and lower inflation. Kallaur can be satisfied with how things are progressing, specifically on the inflation front. The raison d’être of most central banks is price stability, and Kallaur appears to have achieved that. In June, the central bank reported a 4.1% increase in consumer prices and predicted that inflation would not exceed 5% in 2019–2020. To ensure prices remain on a downward trajectory, the bank and government are looking at additional measures designed to keep prices in check and iron out any imbalances. Since assuming the position of governor of Bulgaria’s National Bank in 2015, Radev has not wavered from his focus on cleaning up the country’s banking sector. He assumed the central bank governorship hot on the heels of the collapse of one of the country’s major lenders, Corporate Commercial Bank. Radev has stated that the collapse was “an important lesson … for the central bank,” as it highlighted the need for stronger levels of banking supervision and the need to establish a framework for preventing the fallout from such events from impacting the wider economy. The IMF reportedly praised recent reforms, which placed decision-making authority with the central bank’s governing council. In February, the IMF stated that the Bulgarian economy was performing well, with economic growth expected to reach 3.8% in 2018. The main challenge, it stated, was to translate this into sustainable economic growth and to address income inequality. Rusnok is one of those central bankers who has had the benefit of having led his country as prime minister, albeit only for a short time, from July 2013 to January 2014. His tenure as governor of the Czech National Bank has already been longer than his stint as PM (he assumed the governorship in July 2016) and he hasn’t wasted any time in making an impact on monetary policy. In an indication of what we can except from him in terms of management style, Rusnok did not hesitate in warning markets early about a potential rate hike in response to rising wages and a weakened currency. At its June meeting, the bank’s board voted to increase the two-week repo rate by 25 basis points, to 1%. It also increased the Lombard rate for short-term liquidity loans to commercial banks by 50 basis points, to 2%. At its August meeting, both rates were increased again by 25 basis points, and the discount rate was increased by 20 basis points. These moves are intended to nip higher-than-expected inflation in the bud. It is the 200th anniversary of the National Bank of Denmark—and the country has come a long way from that postwar period, when inflation was out of control and the central bank was handed the responsibility of restoring price stability. Today, Rohde says the Danish economy is growing again, with growth of 1.9% predicted for this year. But there is the potential for overheating in the economy, given high household and business savings which could lead to higher levels of consumption—and ultimately, higher inflation. Rohde needs to remain vigilant and be ready to tighten monetary policy at the earliest indication that economic growth is about to change course. A true test of his stewardship is perhaps yet to come. Since last year, Draghi has indicated that he is eager to start putting the brakes on accommodative measures —negative interest rates and a bond-buying program—designed to stimulate economic growth and to bring inflation back within the target range of 2%. Draghi hasn’t hesitated in taking credit for getting the eurozone’s economy back on track as a result of the measures the bank has implemented. But despite uncertainties presented by Brexit and an impending trade war as a result of protectionist measures imposed by US President Donald Trump, Draghi doesn’t see any need to delay the tapering of the bank’s bond-buying program, scheduled for December. While he may have managed to assuage the concerns of the more hawkish members of the ECB’s monetary policy committee by agreeing to wind back the bond-buying program, he has kept his options open by stating his intention to keep interest rates at historical lows, at least until next summer. Georgia is a new addition to our Central Bank Report Cards this year. The timing couldn’t be better, with the economy performing well enough for the National Bank of Georgia to revise its economic growth forecast for 2018 upwards from 4.8% to 5.5% on the back of increased goods exports, strong domestic demand and a tourism boom. Governor since March 2016, Gvenetadze previously worked as a senior economist at the IMF. Under his stewardship, the bank remains focused on price stability and strengthening financial supervisory frameworks. While Georgia’s economy appears to be in a good place, Gvenetadze is aware of the need to remain vigilant, particularly with risks emerging in neighboring Turkey, which is one of Georgia’s biggest trading partners. Another year of strong growth for the Hungarian economy, another year of accommodative monetary policy. With the IMF forecasting economic growth for Hungary of 4% in 2018, it was perhaps no surprise that at its August Monetary Council meeting, the Magyar Nemzeti Bank voted to keep the base rate at 0.9%. “In the Council’s assessment, maintaining the base rate and the loose monetary conditions was still necessary to achieve the inflation target in a sustainable manner,” the bank stated in its August meeting notes. However, there are other factors that suggest it may have been more prudent to take a more cautious approach: The IMF points to strong domestic demand and rising asset prices and wages. According to the IMF, inflation increased to 2.8% in May—close to the central bank’s inflation target of 3%—largely due to external factors such as oil prices. The IMF believes the risks pertaining to prematurely tightening monetary policy have dissipated. However, Matolcsy hasn’t even hinted at a rate hike, and seems content for now to keep a loose grip on the policy reins. Guðmundsson must be feeling pretty pleased with himself right now. Iceland’s economy has emerged from the 2008 financial crisis with fewer scars than some other countries. The economy is growing in real terms by more than 3%, according to IMF forecasts. Inflation is manageable at 2.4%, job growth remains strong and risks to the economy from lifting capital controls—particularly in terms of exchange rate volatility—haven’t really materialized. “The credibility of monetary policy has increased, as can be seen perhaps most clearly in inflation expectations, which are now much more firmly anchored to the target,” Guðmundsson stated in a speech to the Iceland Chamber of Commerce last November. At its August 2018 meeting, the central bank said inflation had increased to 2.7% in July, and that it remained ready to do what was needed to keep it within the target range. We have every confidence that Guðmundsson and his team are not afraid to act quickly to keep the Icelandic growth story on course. Now in his second six-year term as central bank governor, Olsen faces a dilemma that isn’t unique to Norway: When to raise interest rates? With the key policy rate having remained at 0.5% since 2016, there have been suggestions recently that a rate hike is on the cards. Inflation is starting to exceed expectations, with the Consumer Price Index rising to 3% in July. Inflation still remains below the inflation target, which may explain why the bank kept the policy rate at its current level at its June and August meetings. However, notes from the August meeting suggest that a watchful eye may be needed in the coming months in order to maintain price stability. While other central banks are contemplating raising rate to maintain price stability, Glapiński has emphatically stated that no rate hikes are in the cards for at least another year. According to Reuters, Glapiński expects rates to remain unchanged at least until the end of next year, which is a pretty bold statement to make when economic and inflation expectations can change at a moment’s notice, particularly when external factors outside the bank’s control come into play. The Polish economy is performing well, with economic growth of more than 4%, in real terms, predicted for this year and inflation close to the central bank’s target of 2.5%. However, Glapiński has given himself very little room to maneuver if the outlook suddenly changes and he needs to change his story about a rate rise. The National Bank of Romania is still in the process of enhancing supervisory measures for local banks in line with international standards. “The processes for ensuring consistency and accuracy of scoring, findings and supervisory measures across different banks need to be improved and have yet to be formalized and documented,” the IMF wrote in a May 2018 assessment of the country’s financial sector. According to the IMF, the NBR needs to do more stress testing of local banks and to focus on banks’ risk models. The central bank has successfully spearheaded an effort to reduce the rate of non-performing loans, from a high of 21.9% in 2013 to approximately 6% in 2017. Despite an uncertain inflation outlook, the central bank kept the base rate at 2.5% and the deposit facility rate at 1.5% at its last two meetings. Arguably, some may see the need for a more hawkish approach to monetary policy; Isărescu, however, seems more concerned about preserving economic growth. Inflation is decreasing, investment and credit are increasing and non-performing loans in the banking sector have peaked, says the IMF in a November 2017 report on the Russian economy. Nabiullina’s tough monetary policy stance helped reduce inflation, from a high of 16% in 2015 to being well within the bank’s target of 4%. Her next mission is cleaning up Russia’s banking sector and instituting the structural reforms needed for sustained economic growth and for achieving Russian president Vladimir Putin’s development objectives. Given that his six-year term at the helm of the Sveriges Riksbank was extended twice, Ingves must be doing something right. With strong economic activity and inflation within the bank’s 2% target, Ingves and the executive board of the bank haven’t had to make any difficult decisions regarding interest rates, voting to keep the repo rate unchanged at 0.50% for most of this year. However, at its September meeting, there was a dawning recognition that monetary policy might not stay as accommodative for much longer. The plan is to raise the repo rate by 0.25 percentage points either in December or February. But Ingves is a little late to the party, given that other central banks have slowly started raising rates again. Having existed in a low interest-rate environment for so long, some central bankers are still getting their heads round the new reality of rising interest rates. From a grade of B to D in the space of a year is quite a downgrade. But things haven’t been going Çetinkaya’s—or the central bank’s—way recently. Inflation is skyrocketing, with the bank reporting that annual inflation increased by 3.24 points, to 15.39%, in June. Inflation in the food and beverage sector is particularly high, at 18.89%, according to central bank data. Although the bank expects to maintain a tight monetary policy stance for some time, it hasn’t really paid dividends yet when it comes to reining in inflation and stopping the lira from plunging to all-time lows. Turkey has been here before, but with questions over the independence of the central bank from Prime Minister Recep Tayyip Erdoğan’s iron grip on power, it doesn’t give Çetinkaya, or the bank, much room to maneuver. NB: These grades were given in August, before the central bank took the bold step of raising the interest rate 625 basis points, against the oft-stated preference of President Erdogan. It is probably still too early to say whether Smolii, who was appointed governor of the National Bank of Ukraine in May 2017, has delivered on his promises to restore faith in the Ukrainian currency and financial system. In early September, the bank increased its key policy rate to 18%, even in the face of declining inflation. Smolii justified the rate hike by saying that declining inflation might be hampered if certain risks materialized. The rate hike does appear to be slightly overzealous, particularly given that most central bankers probably would have waited until they had a clearer picture on what was happening with inflation. However, Smolii is of the view that a rate hike now will make it easier for the bank to bring inflation in line with the bank’s target of 5% in 2020, even though it isn’t far off that figure now (in June, inflation stood at 8.9%). In August, the Bank of England’s Monetary Policy Committee finally voted to raise interest rates for the first time in seven years, from 0.5% to 0.75%. The question of when to raise rates from an all-time low has been a topic of hot debate at the MPC’s meetings, and previously Carney seemed to distance himself from a rate hike in view of the economic uncertainty created by the prospect of Brexit. As the UK lurches toward what many believe will be a no-deal Brexit, the decision to increase rates may have been somewhat premature, particularly if the bank has to reduce them again in order to deal with any economic fallout from the UK stalling Brexit negotiations with the European Union. He has agreed to remain in the post until January 2020, providing at least some stability. Australia has gone for 27 years without a recession, thanks in part to responsible monetary policies, but also to demand for its natural resources from a booming China. 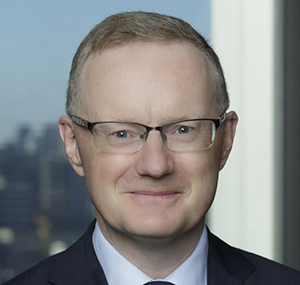 The Reserve Bank has kept its cash rate at a record low of 1.5% so far this year and seems unlikely to raise rates until wages and inflation pick up. High levels of personal debt mean that higher rates could entail considerable pain for Australian households and less spending flowing to businesses. But Governor Lowe prefers higher wage growth to help consumers pay off their debt. He encourages businesses to stop worrying so much about competition, and to go ahead and raise wages for their workers. Fallout from a US-China trade war could factor into the Reserve Bank’s next policy move. Another consideration is how the Australian dollar performs in a low-rate environment. The Central Bank of Azerbaijan lowered its discount rate to 10% in June—its third cut since January, when the rate stood at an all-time high of 15%. Reasons Governor Rustamov gave for the latest move included a reduction in inflation; growth in the economy as the result of higher oil prices; rising currency reserves; and stability in the national currency, the manat. Azerbaijan stands to gain additional income from the further development of the Shah Deniz natural gas field and a rise in tourism. Its trade surplus exceeded US$5 billion in 2017, and the positive trend is continuing. Azerbaijan held presidential elections in April, in which the incumbent, Ilham Aliyev, who succeeded his father and has held power for 15 years, was re-elected, suggesting that current monetary policy will continue. Bangladesh Bank, the nation’s central bank, has lost its independence. Key decisions on monetary policy this year were made not by the central bank’s policy unit alone, but rather, with help—or pressure—from representatives of the ministry of finance and the Bangladesh Association of Banks. The three parties met at a hotel in Dhaka on April 1 and decided to slash the cash reserve requirement by a full percentage point to 5.5% to ease a liquidity crisis. They also cut the repo rate to 6% from 6.75%. The central bank said the decisions were made to help the government achieve targeted growth rates—in an election year—and not for any other reason. Meanwhile, an investigation into the February 2016 cyber-heist of US$101 million from Bangladesh Bank’s account with the Federal Reserve Bank of New York was recently delayed for the 25th time. China installed its first new central bank governor in 15 years in March. The choice of Yi Gang, a US-educated economist and deputy governor under Zhou Xiaochuan for the past decade, will ensure continuity at the People’s Bank of China. Yi was earlier director of the State Administration of Foreign Exchange and is expected to continue China’s efforts to liberalize its exchange rate. His first major move as governor was to cut the amount of cash banks must hold in reserve by more than US$100 billion, to free up funding for small companies and to promote debt-for-equity swaps. The move came in the face of new US tariffs and was a strong signal of policy easing. The bank recently gained new powers to make laws and regulations for the banking and insurance sectors. With these in hand, one of Yi’s main challenges will be to keep China’s massive debt bubble from bursting and dragging down the economy. The Hong Kong Monetary Authority has kept its currency pegged to the US dollar at a rate of HK$7.80 to US$1 for the last 35 years. This is not always the most convenient arrangement. When the Hong Kong dollar weakened in April, the bank was forced to buy HK$51 billion in just a few days to support the currency. But it has more than enough reserves to buy back the entire money supply if necessary. And while foreign exchange market interventions such is this one drive up interest rates, it is the price Hong Kong pays to maintain the US dollar peg—and confidence in its currency. Meanwhile, the US-China trade war is creating a challenge for Hong Kong’s economy, since China is the city’s biggest trading partner. A slowdown in demand from China would pressure Hong Kong’s key trade sector. The Reserve Bank of India raised its benchmark interest rate by a quarter point in June and again in August, sending the rate to 6.5%. The increases were the first in more than four years and came as rising oil prices put upward pressure on inflation, widening the country’s trade deficit. Governor Patel also noted that the Federal Reserve’s shrinking of its balance sheet and the US Treasury’s borrowing binge were putting a “double whammy” on emerging markets and could lead to the drying up of dollar funding. Growth at an annual rate of 7.7% in the first quarter of 2018 made India the world’s fastest growing major economy, but policymakers fear rising oil prices and a weaker rupee could feed inflation and weaken performance. Indian businesses oppose further interest rate hikes, however, arguing that higher rates would dampen economic growth without curbing inflation. Meanwhile, Patel will have to fight off attempts by the government to impinge on the central bank’s independence. Indonesia’s new central bank governor didn’t take long to show he is tough on inflation. Bank Indonesia raised its benchmark rate three times in six weeks after Warjiyo took office in May, demonstrating its resolve to ensure stability in the rupiah. The bank described its rate hike as a “pre-emptive, front-loading and ahead-of-the-curve move to maintain the domestic financial market’s competitiveness against several countries’ changing monetary policies as well as high global uncertainty.” Currency depreciation would have a more immediate negative impact on growth, Warjiyo said. The first Japanese central bank governor in more than 50 years to be appointed for a second term, Kuroda is still pursuing his goal of a 2% inflation rate. The Bank of Japan has pledged to keep short-term interest rates at minus 0.1% and the 10-year bond yield near zero until it hits its inflation target. Rising US interest rates—and bond yields—have widened the foreign exchange gap with Japan and bolstered the dollar. A weak yen is popular in Japan, since it helps to make the country’s exports more competitive in global markets, while rising import costs contribute to higher inflation. The Japanese economy contracted unexpectedly in the first quarter of 2018, however, prompting concerns that rising trade protectionism in the US could hurt future exports. Kazakhstan’s oil-based economy has benefited from rising oil prices while the central bank’s high interest rates keep inflation expectations low. The National Bank of Kazakhstan cut its overnight policy rate by 25 basis points in June, to 9%, the lowest in three years. The Asian Development Bank (ADB) expects Kazakhstan’s real GDP to grow 3.2% in 2018 and 3.5% in 2019. Despite the improved growth, problems remain in the banking system. The government injected US$6.5 billion into the Problem Loans Fund in the third quarter of 2017 to accelerate the recovery of banks’ balance sheets. The central bank also contributed US$2 billion to a program to help reduce nonperforming loans. Taking over in June, Nor Shamsiah is the second woman to hold the position of Malaysia’s central bank governor. The first was Zeti Akhtar Aziz, a Global Finance Grade A winner who completed a 16-year term in 2016. Nor Shamsiah, who had been a deputy governor assisting investigations into the scandal at state investment fund 1Malaysia Development Berhad, earlier served as assistant director of the IMF’s monetary and capital markets division. Bank Negara Malaysia, the central bank, held its key rate unchanged at 3.25% in July. It expects economic growth to be sustained and inflation to weaken this year following the new government’s removal of the 6% goods-and-services tax. The Central Bank of Myanmar has kept its benchmark interest rate on hold at 10% so far this year, despite pressure from members of parliament to lower rates to boost the economy. Real GDP growth is expected to reach 6.7% in 2018 and more than 7% next year. The bank says it has a mandate to keep inflation stable and maintain the state’s borrowing rate to fund its fiscal deficit. The environment for foreign investment is gradually improving, as the government has opened wholesale and retail trade to foreign-owned companies and joint ventures. Nepal Rastra Bank, the central bank, has held its official interest rate at 7% so far this year, just as it did in 2017. GDP growth slowed to 4.9% in fiscal year 2018, ended in mid-July, reflecting the impact of record floods in August 2017. Construction activity remains strong as a result of rebuilding from the 2015 earthquakes. Foreign investment has risen substantially in the cement, hydropower and hotel industries, according to the Asian Development Bank. The ADB predicts GDP growth of 5.5% for Nepal in fiscal 2019, assuming a normal monsoon season and accelerated infrastructure projects. Orr, a former head of financial stability and deputy governor of the central bank—and most recently, CEO of the New Zealand Superannuation Fund, a sovereign wealth fund—became the 12th governor of the Reserve Bank of New Zealand in March. He quickly signed new policy target agreements with Finance Minister Grant Robertson that will require the bank to pay more attention to employment, not just inflation, in setting monetary policy. Historically, the Reserve Bank had been known for its strict focus on fighting inflation. At its meeting in June, the bank left its official cash rate at a record low 1.75%, with inflation seen likely to remain below 2%. It took note of rising trade tensions and volatility in emerging-market asset prices, but concluded that the economy was likely to continue to benefit from ongoing global economic growth. The State Bank of Pakistan raised its policy rate by 25 basis points in January, 50 basis points in May and 100 basis points in July, in an increasingly determined effort to fight inflation and support the weakening rupee. Rising oil prices have increased Pakistan’s import bill, widening the trade and current account deficits and draining critically low foreign exchange reserves. The economy grew 5.8% in the fiscal year ended June 30; but real GDP growth is expected to slow to about 5.5% in the current fiscal year, as a shortage of water constrains agricultural output. On the inflation front, Bajwa will have his work cut out for him. The average headline rate for fiscal 2019 is expected to surpass the 6% annual target, while core inflation is projected at around 7%. Bangko Sentral ng Pilipinas (BSP), the central bank of the Philippines, raised its overnight reverse repurchase rate by 25 basis points in May and another 25 in June. The BSP said its actions were designed to safeguard macroeconomic stability in an environment of rising commodity prices and ongoing normalization of monetary policy in advanced economies. 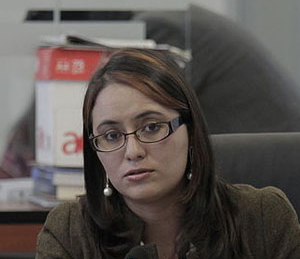 Espenilla, formerly a deputy governor, replaced Amando Tetangco Jr., a long-serving Global Finance Grade A winner, in July 2017. The Philippine economy grew at an annual rate of 6.8% in the first quarter of 2018, close to the target growth rate of 7% to 8% for the year. Employment and wages are rising, but the Philippine piso slumped to a 12-year low as government spending on infrastructure drew in imports, widening the current account deficit. The Monetary Authority of Singapore (MAS), the de facto central bank, manages the Singapore dollar against a trade-weighted basket of foreign currencies. In April the MAS announced a slight rise in the slope of its nominal exchange rate, allowing for a modest appreciation of the currency—the equivalent of a monetary policy tightening. Real GDP rose 3.2% in 2017 and economic growth reached 4.3% at an annual rate in the first quarter of 2018. Clouding that picture, however, are fears that the US-China trade war could dampen growth in the trade-dependent city-state. Menon has been managing director of the MAS since 2011, while it is chaired by Deputy Prime Minister Tharman Shanmugaratnam. Lee was appointed to a second term in March, providing continuity at the Bank of Korea during a challenging period as rising US rates and trade protectionism as well as South Korea’s soaring household debt pose risks. The central bank held its base rate unchanged at 1.5% at its July meeting, citing solid domestic economic growth, but also noted that employment-market conditions remained sluggish. The Central Bank of Sri Lanka narrowed its interest-rate corridor in April by lowering the upper boundary 25 basis points. Favorable developments in inflation as well as lower than expected real GDP growth prompted the decision, the bank said. It also expects the move to dampen volatility in domestic rates. Economic growth slowed to 3.1% in 2017, from 4.5% in 2016. Despite an increase in credit to the public sector in recent months, growth of the broad money supply and of private-sector credit have remained subdued. Going forward, the bank said it would closely monitor risks arising from global economic developments and domestic fiscal policy. Yang, who had been deputy governor for a decade, took the helm of the Central Bank of the Republic of China (Taiwan) in February, replacing multiple Grade-A recipient Fai-Nan Perng, who served under four successive presidents. The two had a long partnership: Yang joined the bank’s economic research department in 1989, when Perng was its director general. The bank has held its benchmark discount rate on 10-day loans unchanged at 1.38% since June 2016. At its meeting in June of this year, it said a continued accommodative monetary policy would help ensure price stability and foster solid economic and financial development in the island state. Growth in the export-oriented economy is forecast at 2.7% this year, with some moderation in the second half due to global economic uncertainty. The Bank of Thailand kept its benchmark one-day repurchase rate unchanged at 1.5% at its June meeting, arguing that monetary policy continued to support economic growth and an increase in the inflation rate toward its target. Real GDP expanded at a 4.8% annual rate in the first quarter, the fastest in five years. Exports and tourism remained strong, while agricultural output rebounded. The military government is seeking to attract foreign investment to modernize Thai industry. At the same time, it has continued to delay the date for a general election—most recently until May 2019. Meanwhile, the bank lags its peers in deploying blockchain technology to create a new interbank payment system. The Central Bank of Uzbekistan raised its refinancing rate by 500 basis points in June 2017 to 14%, to fight inflation and support the currency, the som, which fell 90% last year when currency controls were lifted. A year later, the interest rate was still at 14% and inflation was forecast at 16% for 2018. Rising natural gas exports are keeping the economy growing at a rate of about 6%. But President Shavkat Mirziyoyev, who took office in 2016, admits that GDP and employment numbers have been “fiction” for years, when growth was reported as high as 10% annually. Economic reforms are gradually being implemented, and the government said it intends to give more independence to the bank as the country transitions to a market-oriented economy. Vietnam’s economy is growing at a smart rate of about 7%. Foreign investment in electronics and other export industries is rising sharply, and foreign currency reserves have reached a record of more than US$60 billion. The State Bank of Vietnam, which is administered by the government, has held its refinancing rate at 6.25% so far this year. However, the bank lowered its rate for open market operations for the first time in four years in January, dropping it 25 basis points to 4.75% to encourage commercial banks to lower their lending rates. Inflation is projected to edge up to 3.7% this year and 4% in 2019, according to the Asian Development Bank. The Bank of Algeria has held its discount rate unchanged at 3.5% so far this year. Real GDP growth slowed to 2.2% in 2017. But economic momentum is expected to build as new oil and gas fields come online and the government aims for 4% overall growth this year, with the energy sector forecast to grow by 6.5%. The non-oil economy remains sluggish, however, and the unemployment rate is in double digits. Following a tour to Algiers in March, the International Monetary Fund (IMF) called on the government to implement a gradual foreign-exchange-rate depreciation combined with efforts to eliminate the parallel foreign-exchange market. Since coming to power last September, President João Lourenço has focused on restoring macroeconomic stability to Angola, attracting investment and fighting corruption, following the 38-year rule of José Eduardo dos Santos. Lourenço chose Massano to head the Banco Nacional de Angola, hoping he will repeat his solid performance as governor from 2010 to 2015. Massano has begun phasing in a floating exchange rate to stem a decline in currency reserves. The national bank lowered its benchmark interest rate 150 basis points to 16.5% at its July meeting, as inflation edged below 20%. Angola, Africa’s second-largest oil exporter after Nigeria, is likely to pull out of recession this year, thanks to higher oil prices. The Central Bank of Bahrain raised its key policy interest rate by 25 basis points in March and again in June to maintain its dollar peg, following similar rate hikes by the US Federal Reserve. Earlier this year, Bahrain canceled a planned international bond sale, saying borrowing costs were too high; and Saudi Arabia, Kuwait and the United Arab Emirates are now in discussion with the Bahraini authorities over financial support. Economists say Bahrain needs to tighten fiscal policy in light of its weak balance sheet. But the island kingdom’s public debt will increase further over the medium term, the IMF projected in July; and reserves are projected to remain low. On the positive side, the fund welcomed Bahrain’s initiatives to promote fintech. This central bank serves six countries forming the Economic and Monetary Community of Central Africa: Cameroon, Central African Republic, Chad, Equatorial Guinea, Gabon and the Republic of the Congo (Congo-Brazzaville). The official currency of the six is the Central African CFA franc, which was formerly fixed to the French franc and is now pegged to the euro. So far this year, the bank’s monetary policy committee has maintained its prime lending rate at 2.95%. Oil accounts for 60% of the group’s exports. Following the steep decline in oil prices in 2014, four of the countries entered IMF-supported programs to restore economic sustainability. Stronger exports to the EU are expected, following an interim economic policy agreement signed in April. The Bank of Botswana has kept its benchmark lending rate steady at a record-low 5% since October 2017 to stimulate economic growth amid low inflation. The bank uses a crawling peg system of exchange rate adjustments, whereby the currency, the pula, is allowed to fluctuate within a band, based on the outlook for inflation. Diamonds account for about 80% of Botswana’s exports. Economic growth is expected to surpass 4% this year on higher public investment and rising diamond sales. Following its annual tour in June, the IMF praised the country’s macroeconomic stability; although it recommended steps to improve the business environment and diversify the economy. This institution serves the eight countries that share the West African CFA franc and constitute the West African Economic and Monetary Union: Benin, Burkina Faso, Côte d’Ivoire, Guinea-Bissau, Mali, Niger, Senegal and Togo. The bank has kept the key interest rate unchanged at 4.5% so far this year, although real GDP growth averaged more than 6% in 2017 for the sixth consecutive year. Rising cocoa prices could boost Côte d’Ivoire’s economic growth further, to 7.2% in 2018. The country has begun manufacturing and marketing its own chocolate, rather than relying exclusively on exporting unprocessed beans. Banque Centrale du Congo lowered its key rate to 14% from 20% in April, “in view of the good economic situation, both internationally and nationally, favorable macroeconomic prospects and the absence of imminent risks.” This optimistic statement came despite an inflation rate exceeding 50%, albeit down from 70% in August 2017. Once known as Zaire, the war-torn country is Africa’s largest copper exporter. Trade tensions could bring down the price of the metal. Meanwhile, the country’s foreign exchange reserves are low, providing little buffer to any shocks. The Central Bank of Egypt has lowered interest rates by a cumulative 200 basis points so far this year. Any pickup in inflation due to subsidy cuts for fuel and electricity should prove temporary, economists say, meaning that interest rates could have further to fall. Meanwhile the country’s healthy level of foreign reserves and flexible exchange rate should enable it to weather any capital outflows from emerging-market investors. The Egyptian economy continues to perform well, with inflation at a two-year low, economic growth accelerating and unemployment at the lowest level in eight years. But reforms are still needed, the IMF warns. “The ongoing energy-subsidy reform is critical to support fiscal consolidation and encourage more-efficient energy use,” the fund said in July following its third review of Egypt’s economic reform program under a $12 billion extended fund facility. The UAE pledged $3 billion in aid and investments to Ethiopia in June to ease an extreme foreign-currency shortage. At the same time, Ethiopian Prime Minister Abiy Ahmed named Dessie central bank governor, replacing Teklewold Atnafu at the head of the National Bank of Ethiopia. The youthful prime minister, the first from the Oromo, the country’s largest but long-marginalized ethnic group, is attempting to shake up the economy, long one of the fastest-growing in Africa. The shortage of foreign currency was exacerbated by spending on big infrastructure projects, which reduced reserves to less than one month’s worth of imports. The government says it is considering a partial privatization of national assets, such as Ethiopian Airlines and Ethio Telecom. The Bank of Ghana lowered its main policy rate by 200 basis points in March and another 100 basis points in May, bringing the rate down to 17%. At the same time, the bank kept the policy rate stable in real terms by lowering it in line with a slowdown in inflation. Addison, former lead regional economist at the African Development Bank, was named governor of the central bank in March 2017. Beginning in April of this year, the Ghana reference rate (GRR) was introduced as the foundation for calculating lending rates. An initiative of the Ghana Association of Bankers, the GRR is a weighted average of several indices, including the inflation rate, the central bank’s policy rate and the treasury bill rate. The Central Bank of Iraq plays an important role in improving the stability and protecting the integrity of the Iraqi financial system. Thanks to its vigilance, on July 1, Iraq was removed from the Financial Action Task Force’s global compliance monitoring process for countering money laundering and the financing of terrorism. Operating in a challenging political and security environment, the bank has also worked to improve access to financing for small and medium-sized enterprises (SMEs) in order to encourage economic growth and diversification. The bank has also had notable success closing the exchange-rate gap between official and parallel-market prices of the dinar, and it has helped develop the country’s electronic-payments system. Iraq’s economy is expected to recover modestly this year on higher oil production and infrastructure spending. The Central Bank of Jordan raised its policy rate by 25 basis points in March to 5.25%, saying the increase would not affect refinancing rates applied to the bank’s program targeting priority and productive industries, including SMEs. With its currency pegged to the dollar, Jordan typically follows increases in interest rates by the Federal Reserve. Renewed economic growth, nevertheless, is an acute need for the kingdom, which hosts nearly 1 million Syrian refugees. As protests broke out in February, the government blamed slow economic growth and unpopular tax increases on IMF-backed austerity measures and a decline in foreign aid. The unemployment rate hit a 25-year high of more than 18%. The Central Bank of Kenya lowered its benchmark rate by 50 basis points in March to 9.5%, saying that inflation expectations were well anchored and economic output was below potential. Three months later, Kenya announced that it would repeal a law capping commercial lending rates at 4 percentage points above the bank’s benchmark rate. The law, which was introduced in 2016, precipitated a slowdown in the growth of credit to the private sector. The government hopes these moves will give a nudge to an economic expansion already beginning. The World Bank expects the economy to grow 5.5% this year, up from 4.8% in 2017, on an easing of drought conditions and reduced political risk following last year’s presidential election. The Central Bank of Kuwait raised its policy rate by 25 basis points in March to bolster the dinar, following the Federal Reserve’s rate hike. The overall aim is to strike a balance between healthy private-sector credit growth and preservation of the attractiveness of the dinar, which is pegged to a basket of currencies dominated by the dollar. After contracting by 2.9% in 2017 due to low oil prices, the Kuwaiti economy is expected to grow about 2.5% this year thanks to an oil-price rebound and OPEC’s decision to ease production curbs. The rise in oil prices will further boost the government’s capacity to spend. The Lebanese government completed a $5.5 billion debt swap with the Banque du Liban on May 18, issuing eurobonds in exchange for Lebanese pound-denominated treasury bills. The swap secured Lebanon’s foreign-currency financing needs until the end of 2018, strengthened the bank’s dollar assets and allowed it to lend to the government in local currency at low rates without jeopardizing the currency’s stability. Reducing debt-servicing costs is important in a country with a ratio of debt to GDP of more than 150%. Economists say one of the biggest risks to the economy is another potential flare-up of relations with the oil-rich economies of the Gulf, which would leave the government little room to respond without improved debt levels. Bank Al-Maghrib has kept its benchmark interest rate unchanged at 2.25% so far this year. The central bank expects real GDP growth of 3.3% in 2018 and 3.5% next year. It introduced a more flexible exchange rate in 2017 as part of a reform package recommended by the IMF, which approved a $3.5 billion precautionary liquidity line for Morocco. The country’s fiscal deficit is expected to decline to 3.3% of GDP this year; the government aims to reduce it to 3% of GDP by 2021 and introduce comprehensive tax reform as part of the fiscal consolidation. Morocco’s current account deficit narrowed to 4% of GDP in 2017, thanks to a 32% increase in foreign direct investment and a 2% rise in remittances from Moroccans working abroad. The Bank of Namibia has kept its repo rate unchanged at 6.75% so far this year, saying that it aims to protect the level of foreign reserves and support economic growth while maintaining the Namibian dollar’s link to the South African rand. Namibia’s economy contracted 1% in 2017, however, mainly as the result of a fiscal consolidation process that included a reduction in capital spending. Annual GDP growth is expected to creep back to 1.5% this year and to 3% in 2020, according to the World Bank, which projects the recovery will be driven by an increase in mining activity. Uranium production is expected to rise when the Husab Mine in the Namib Desert begins producing, while diamond output is expected to increase gradually in line with global demand. The Central Bank of Nigeria has held its benchmark interest rate unchanged at 14% for a second straight year as it seeks to hit its single-digit inflation target. The inflation rate declined to 11.2% in June, mainly due to a slower increase in food prices. The economy is gradually pulling out of recession as a result of positive developments in the oil sector. However, unemployment and underemployment continue to rise and the government’s economic diversification targets have not been met. Accordingly, real GDP growth slowed to under 2% at an annual rate in the first quarter due to weaker output from agriculture and other parts of the non-oil economy. Parliament passed a record $30 billion budget for 2018, aiming to boost growth ahead of next year’s presidential election. In March, the Central Bank of Oman raised the interest rate it offers on deposits banks are required to keep at the institution by 50 basis points to 1.5%, citing increases in Omani market interest rates, which have been climbing in response to rate hikes by the Federal Reserve. Oman’s currency, the rial, is pegged to the US dollar. Oman’s economy declined by 0.3% last year, and the IMF says the sultanate needs to make substantial reforms to get growth on the right track. Oman is not a member of OPEC, but it has joined the cartel’s arrangement to cut production to boost prices. The start of production at the huge Khazzan gas field last September has the potential to boost Oman’s hydrocarbons sector. Qatar’s currency, the riyal, is pegged to the US dollar, which means that monetary policy has gradually tightened in tandem with moves by the Federal Reserve. 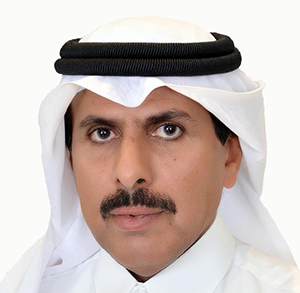 In June, the Qatar Central Bank raised its deposit rate by 25 basis points to 2.0%. The economy has weathered the impact of a blockade imposed in June 2017 by the sultanate’s Arab neighbors, including Saudi Arabia, Bahrain and the UAE, along with Egypt. Oil and gas exports have not been affected, however. Accordingly, Qatar’s real GDP rose 2.1% in 2017, and the IMF forecasts it will grow by 2.6% this year. Projects connected to hosting the FIFA World Cup in 2022 have continued on schedule. The Saudi Arabian Monetary Authority (SAMA) boosted its repo and reverse repo rates by 25 basis points each in June, ahead of a tightening by the Federal Reserve. While the reverse repo rate has been raised over the past two years in line with the Fed’s actions, this was the first time the kingdom changed its repo rate since 2009. In February, SAMA signed an agreement with Ripple to help banks in the kingdom improve their payments infrastructure. Participating banks will use xCurrent enterprise software to instantly settle cross-border payments, with greater transparency at lower cost. Saudi Arabia’s economy pulled out of recession in the first quarter and is expected to gain momentum on the strength of fiscal stimulus and higher oil output. The South African Reserve Bank lowered its benchmark repo rate by 25 basis points in March, to 6.5%, after a slowdown in consumer-price inflation to 4%. Kganyago says the central bank has not started “a journey of cutting” rates and that future moves will be data-driven. The economy contracted at a 2.2% annual rate in the first quarter—the sharpest drop in nine years—but the bank is forecasting GDP growth of 1.7% this year. Investor optimism rebounded when Cyril Ramaphosa replaced Jacob Zuma as president in February. Weakness in the rand, however, could limit potential additional rate cuts. Luoga, a former tax law professor, became governor of the Bank of Tanzania in January, President John Magufuli, who said he had decided to appoint a new governor from among members of committees that investigated allegations of tax evasion by foreign mining companies, lauded Luoga’s knowledge of tax law, which “will help us strengthen checks on capital flight by some foreign companies that use tax havens.” Former governor Benno Ndulu retired after holding the position for 10 years. The president also named Luoga as chairman of the Tanzania Revenue Authority, the country’s tax collection agency. The central bank has meanwhile kept its benchmark interest rate unchanged at 9%. El-Abassi, a former World Bank economist, was named governor of the Central Bank of Tunisia in February, after Chedli Ayari resigned under pressure from Prime Minister Youssef Chahed. Under el-Abassi, the bank promptly raised its key interest rate by 75 basis points and subsequently by 100 basis point, in June. That brought the rate to an all-time high of 6.75% as part of the government’s effort to tame inflation, which reached its highest level in 20 years. Economists say the new hand at the helm of the central bank could signal a shift to more-orthodox policymaking, although interference from the government cannot be ruled out. Intervention to support the currency, the dinar, appears to have increased, for example. The Bank of Uganda warned in a recent report that the country’s soaring indebtedness could curb economic growth. Uganda has borrowed heavily from China to fund infrastructure projects, and a growing share of its revenue now must go toward servicing the debt. The government announced a new budget in June, with a 13% increase in public spending, to be funded by higher taxes and borrowing. The bank lowered its benchmark interest rate by 50 basis points in February to 9%, however, as inflation slowed to 3%. A cautious easing was warranted to boost private-sector credit growth and strengthen the economy’s momentum, the bank said. Real GDP is already growing at a rate of close to 6%. The Central Bank of the United Arab Emirates raised its key interest rate by 25 basis points in March and again in June, following similar hikes by the US Federal Reserve. The dirham is pegged to the dollar. The stimulus comes as infrastructure investment and higher oil production are already expected to boost economic growth to around 2.5% this year from less than 1% in 2017. Inflation could rise to around 3.5%, mainly due to the introduction of a 5% value-added tax in January. Tourism and construction are expected to support growth in the non-oil economy, with major projects slated ahead of Dubai’s Expo 2020. Meanwhile, Abu Dhabi has approved a three-year, $13.6 billion economic stimulus program. **CB governor was not graded in 2017. *CB governor was not graded in 2017. **Applied to a prior CB governor.